Which college majors offer students the most earning potential once they enter the workforce? Glassdoor compiled a list of the 50 highest-paying college majors, using data from resumes and salaries shared on its site. The site determined the median entry-level salary potential of the top 50 fields by examining members’ salaries in their first five years of work. It’s no shock that the top 10 majors are in science, technology, engineering and math (STEM) fields. But many of the ranked majors aren’t high tech, and encompass a wide array of career fields. 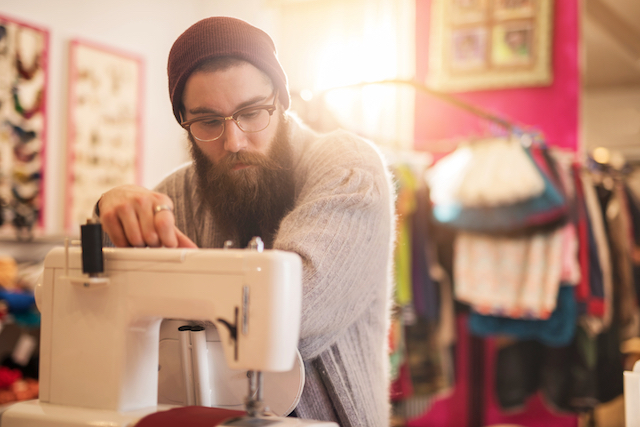 Popular entry-level jobs include fashion designer, textile designer and stylist. Glassdoor salaries for fashion designers range from $43,000 to $90,000, with a national average of $62,607. What isn’t an English degree good for? Glassdoor notes popular entry-level jobs, including English teacher, editor or copywriter, but you can also work your wordsmithing magic in advertising, the arts or any number of careers that value writing skills. To make the most of your history degree, take it to museums or academia. Working as a research assistant could earn you between $48,000 and $81,000 per year. Imagine how your income could grow once you’re in charge of the research? We think this median base salary is ambitious, but a journalism degree can still help you find a satisfying career. While Glassdoor notes reporter salaries start at just $26,000, an entry-level job in public relations can get you in the door at about $33,000 per year. Don’t write it off as being old-fashioned. A philosophy degree could set you up for a career in law, academia or any other career you can dream up. Want to share your love of music as a teacher? You could earn a starting salary of about $35,000, according to Glassdoor. Take on a few freelance performance gigs, and your earning potential could be limitless. Fancy yourself a junior Indiana Jones? Research analyst salaries start at $40,000 and max out at more than $100,000. Social-work careers are often rumored to be a labor of love over an income generator. But Glassdoor shows social-worker salaries starting at $35,000. Your Turn: What was your college major? Did you spot your career path on this list? Lisa Rowan is a writer and producer at The Penny Hoarder. Her history degree netted her $32,000 right after graduation. But that was a long time ago.